Evil fae start in Nektolus (sp?) instead of Freeport. Just FYI. @shadowwar Oh, I know, I just figured they’ll end up there eventually. That said I’m sure I’ll make one eventually. @shadowwar — Evil Fae — the Arasai — start out in Darklight Woods, outside Neriak, and both DLW and Neriak are absolutely beautiful, the experience is great and the questlines are fun. Come to the dark side, not only do we have cookies, we have werewolves! Welcome back to EQ2, I hope you have fun! Do trial accounts get houses? Can they get items in the mail? Is it time for house-warming gifts!!? @Pete — I would imagine not, but I can look into it. Chances are I *will* resub, but I’m going to milk those 14 days as long as I can first. @Pete S trial accounts can’t buy from the broker or trade with another character. None of my buddies ever tried using a house, so I’m not sure about that, but I’d imagine not. You also can’t talk in certain chat channels (being restricted to /say, /shout, /ooc, etc). It doesn’t really hamper you much if you’re actually just trying it out, but I’m also not sure how the cross-server tells will work either. Since it’s a /t I’m sure it would work, but a worldwide channel (which you can do) probably won’t until you sub. I’m over on the Mistmoore server playing my 80 Guard and the name is…yep…Makkaio…go figure. OK so how does one friend a cross-server player? I know there are ways to do it in SWG (which don’t always work as they should), I just can’t remember if there are in EQ2. EQ2 has been slowly making its way onto my radar. My concern is that raiding is the main part of the game, which doesn’t work for me. and here’s a link if my post elements fail again. @Werit they are adding some solo content. I believe they have added solo instances. but you might have to check on that. @Werit I certainly didn’t feel compelled to raid when I played EQ2 originally… but then I never feel compelled to raid in anything (if I managed to not raid in WoW, I can not-raid anywhere!). Between normal play, crafting, housing and the card game… it seems there is a lot to do. Been playing E2 off and on since March 05. Most overland zones through the Moors of Ykesha (from the TSO expac) are solo/duo zones. You can get to 80 with a large number of AA points even if you only solo. Experience <70 is very fast, so fast in fact that I turn off both combat and quest experience on many of my alts. I really cannot get it that you have fallen to EQ2. But IIRC you started with EverQuest, and I guess I would fall for a slightly different Ultima Online remake (my first MMO), too. But actually, no… not really. I think you are driven by the desire to experience that MMO feeling again, but I am not sure if EQ2 will really deliver that. Besides, I don’t see it as stooping to anything if I’m having fun – which I am, right now. Maybe that’s the best one can hope for at any given time. Better to have fun now than sigh over the fun one could be having tomorrow. @werit Raiding really isn’t the focus of the game at all. In fact when I left EQ2 the first and second times it was because of lack of raiding options. Welcome back to EQ2. I’ll be sure to friend you when you list your accounts if you choose to stick around. I’d definitely pick EQ2 over WoW. The community is just more mature and there is far more content to explore. 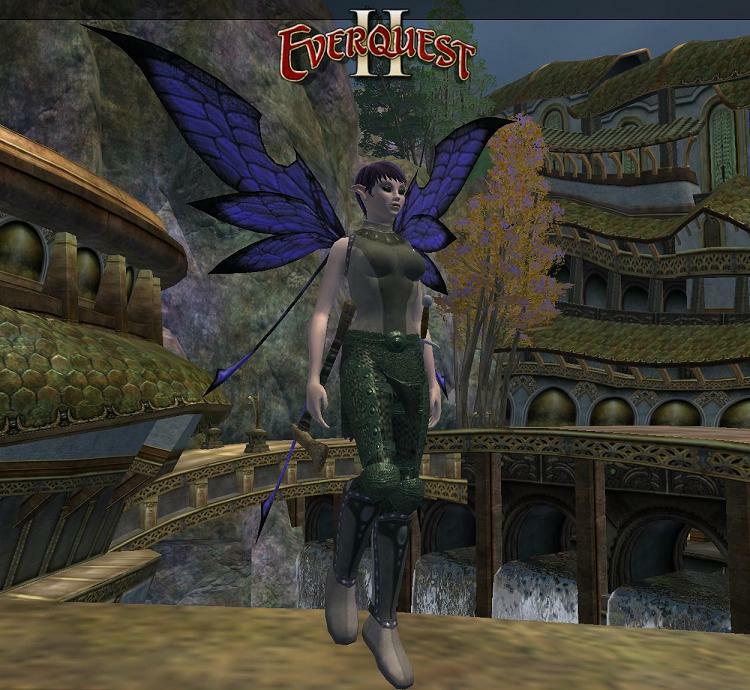 Plus, EQ2 has much more non-combat activities to engage in than WoW does. @Werit – there is plenty to do besides raiding… lots of dungeon instances to run if you want to group, lots of soloable quest arcs, housing and more.